Self-entine’s Day…yep, you heard me right. Valentine’s Day isn’t just for couples or gal pals, but it can also be a day to show yourself a little love! A few years ago, I promised myself I wouldn’t be one of those people that calls today ‘single’s awareness day’. It makes it sound so sad!!! And to be honest, I actually love Valentine’s Day regardless of my relationship status! I can be on a date with my man, out on the town with the ladies, or home doing something for myself…and regardless of which, I’m going to show my love to whomever! This year will be a bit of a mashup of Galentine’s and Self-entine’s for me, as I’ll be hanging with a friend for a bit, but I fully intend to indulge in treating myself. If you don’t have any plans, and aren’t sure of what to do for/with yourself, here are a few ideas! Hit the Spa – I love this one, because, honestly, who doesn’t like to be pampered? 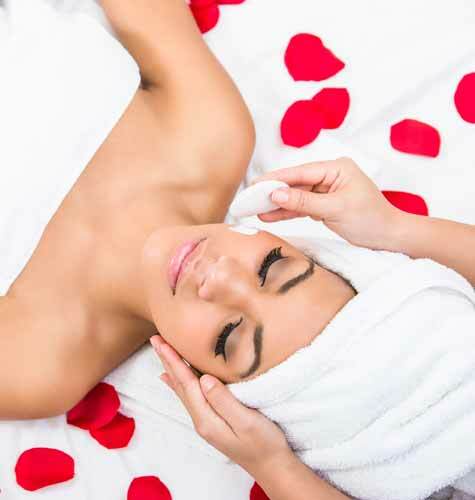 Several hotels and spas have deals going on, so you can book a full day spa to enjoy a massage, facial, hot tub, etc. It really is incredible! Bring the Spa to You – If you’re strapped for cash, or simply want some quiet time at home, do as I do! Run a nice hot bath with some bubbles or a bath fizzie, line it with candles, turn on some music, and enjoy! Highly recommend throwing in a face mask and wine too! Shopping Spree – That’s right, take yourself to a store (or do it online if you desire) and buy that one thing you’ve been saving up for! It doesn’t have to be a ‘need’ either…if you see something you ‘want’ and can no longer live with out it, purchase that baby! Dinner for 1 – Take yourself to dinner! You don’t HAVE to have a date to go to a restaurant, you know. Despite the stigma about it, there’s much less pressure to entertain and everything, so you can truly pay attention and savor every bite from your meal. Discount Deals – I highly recommend checking out Groupon and any other site with discounted rates on events. They often discount it even more on holidays too! So pick out a show you’ve been wanting to see, take a pottery class, start a foreign language, etc. Find something that interests you and go for it! Best case scenario, you may meet someone with similar interests there too! TWO BIRDS, people!!! Volunteer – I would totally be doing this is it wasn’t for work going so late! There are plenty of animal shelters or homeless people who could really use a little special attention today. One animal shelter I love to go to is Animal Hope & Wellness in Sherman Oaks. All of the rescues there have been saved from the dog meat trade in Asia. They, especially, need all the love they can get! If you want to take meals or clothes or anything to the homeless, Skid Row is a great place to go too. Work It Out – Another thing…holiday’s are NOT always about the food! Sure, delicious treats are made, but so many people forget the importance of exercising. 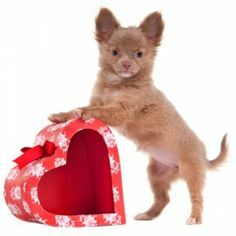 Tons of classes host Valentine’s Day special and/or fun, themed classes! Write a Letter – Write or type something nice to yourself. Go from the heart! Talk about things you love about yourself, the things you do well, goals/dreams/accomplishments. Stash it away and take it out when you most need it. See a Show – Go to a movie, comedy show, musical/play, etc. If you’re not the type that often goes out solo, this is the perfect option because theatre’s are dark, but it’s still a way to liven up your night! No matter how you are spending this Valentine’s Day, do a little something for yourself! If you have any other suggestions too, I’d love to hear them!